SILI PUMP can supply durable and reliable ballast pump. It is in both Bronze and cast iron material. Ballast Pump is also called ballast tank pump or ballast water pump. It is a pump for transferring or discharging water ballast. Ballast pump is usually in a pump room on board the ships or vessels. Together with the tank, pipe, valves, it is composited of the ballast system. Ballast pumps are crucial for the operation of most vessels. They delivery water in and out of the ballast water tanks; when it is loading, off-loading and trim of the vessel. The ballast is generally seawater. It is pumped into tanks known as ballast tanks. These tanks are filled by the ballast pump in order to add weight to the ship. When cargo has been discharged, it is used to improve vessel's stability. Ballast tanks reduce the centre of gravity on the vessel. It is to enable the crafts to be stable. These ballast pumps are designed to efficiently transfer vast amounts of sea water. It is used to pump into the marine vessels ballast tanks or to empty it if necessary. Ship ballast pump is most usually centrifugal pump. Because they can satisfy these needs most effectively. These ballast pumps often require low NPSHr and high flow. Pressure can be increased; if a ballast water treatment system is installed. Ballast tank pump can also be utilized for submarine applications or offshore platforms. In this situation the ballast tank is known as the trim tank. And this ballast pump is called trimming pump or heeling pump. 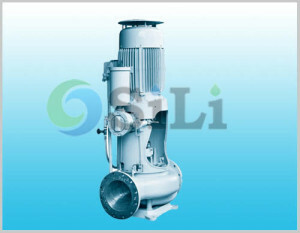 SILI PUMP is a reputation ballast pump supplier and manufacturer in China. Click the following suggested ballast water pump link to find a suitable model. Google+, click for marine ballast pump. Facebook, click for marine ballast pump. Any inquiry or comments about the ballast pump, just contact us.